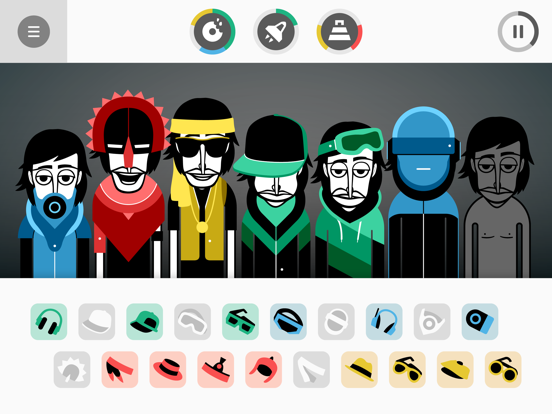 Incredibox is a music app for creating your own music with the help of a merry band of beatboxers. 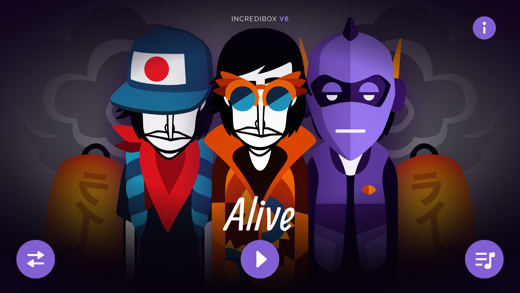 Part game, part tool, Incredibox is above all an audio and visual experience that introduces kids and adults to notions of rhythm and melody - in double-quick time! 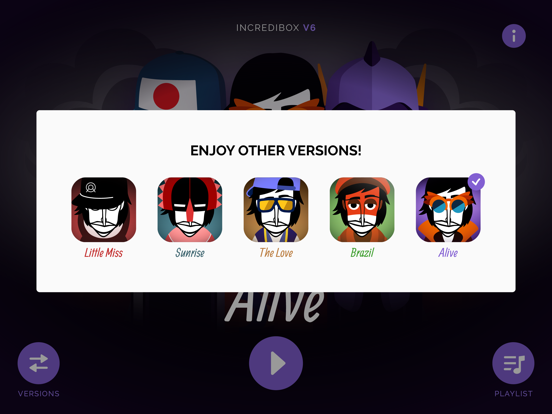 • We have remastered and added the original version of Incredibox, now called "Alpha". 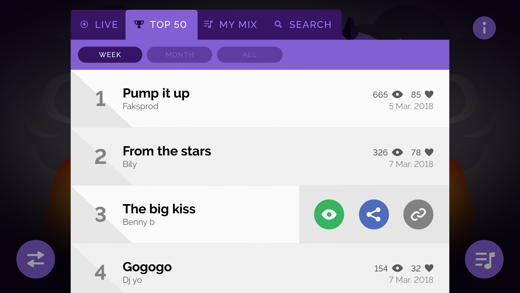 • Now you can download your mix from the Playlist menu! It may not look like much at first, but this is AWESOME. It’s easy to use, but it gets in your head super easily. I can completely understand how this game got as many awards as it did. It’s easy to use, and a creative idea. 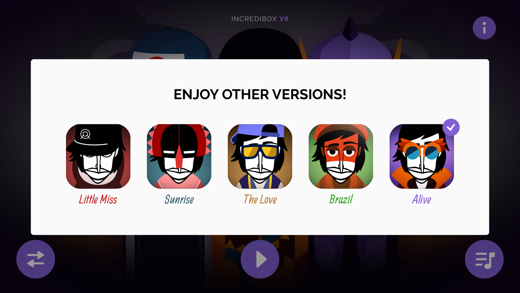 There is one suggestion I have for the developers, though; before making a seventh version of incredibox, add more content to the first 6. 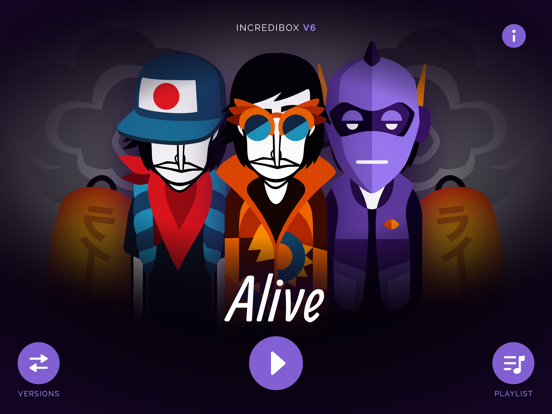 I can make at least 5 unique mixes in each version of incredibox, but after hearing one version for long enough, it grows somewhat stale since you’ve heard the same sounds over and over again, just arranged differently. This isn’t that big a problem, and it does have an easy solution (just add even more different costumes to register even more sounds), but it’s worth mentioning. 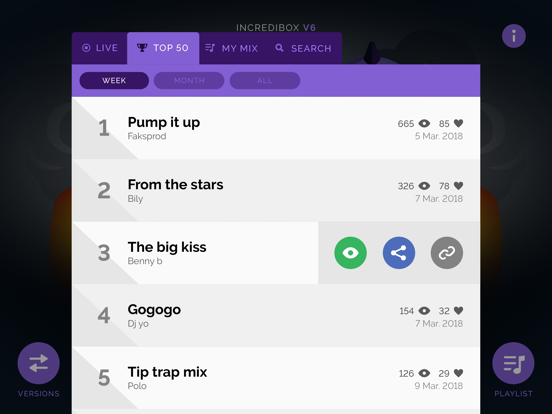 Outside of this, this app is highly worth buying. 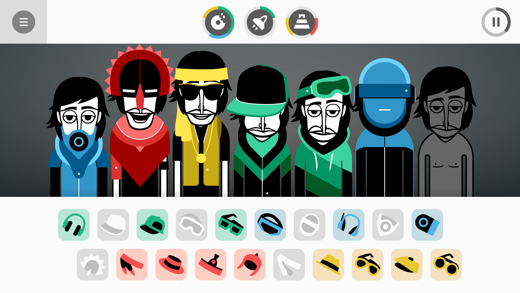 Incredibox is gonna be 10 years old! 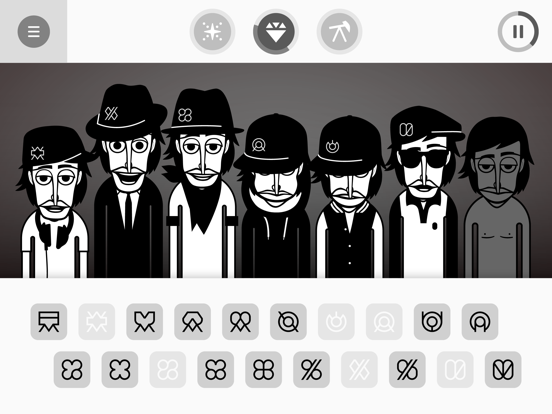 Incredibox is amazingly fun. 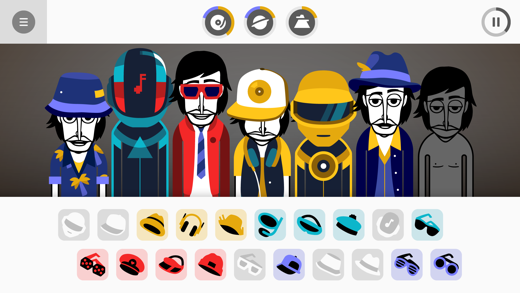 This game helps me keep my boredom away, and is less hard than making actual music. 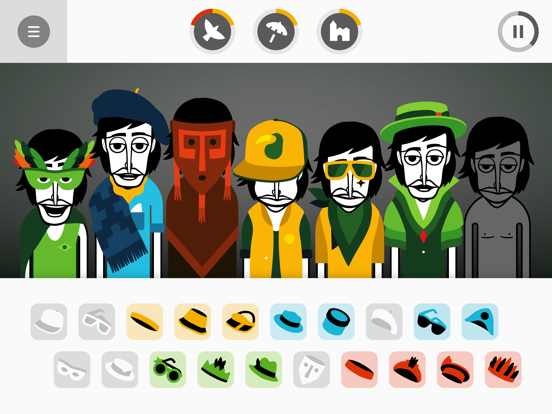 And you can make your own beats, which can be catchy. But this game started out on a website taking back to 2009, known with the sounds being Alpha (Until later they remastered Alpha). 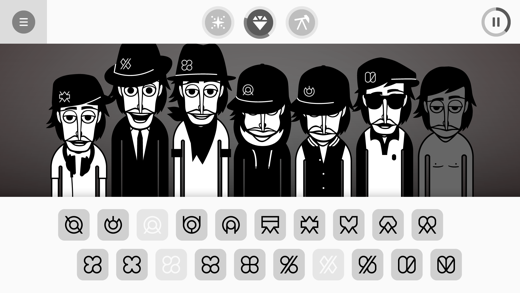 And the app was released on 2012. But I’m only focusing on the website’s date, not the app date. 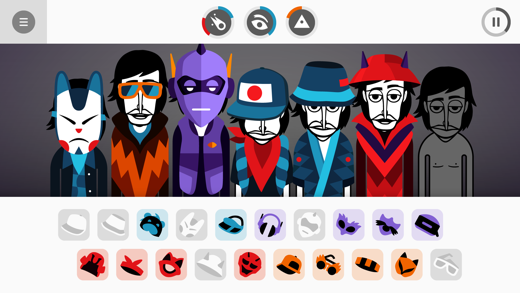 Now, the game is gonna be 10 years old, so I’d like a (V7) name be called,”Ten” And with more sounds than the other versions. 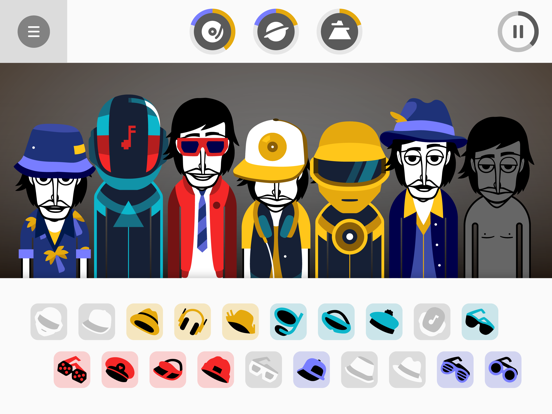 I’m not sure how you guys are gonna come up with the theme will sound like, but you guys have the trick to make a music game, but also make it fun. I’m really looking forward to see what V7 will look like, and cya. This App Is AWSOME. But I Think You Should Add These To The Next Update. 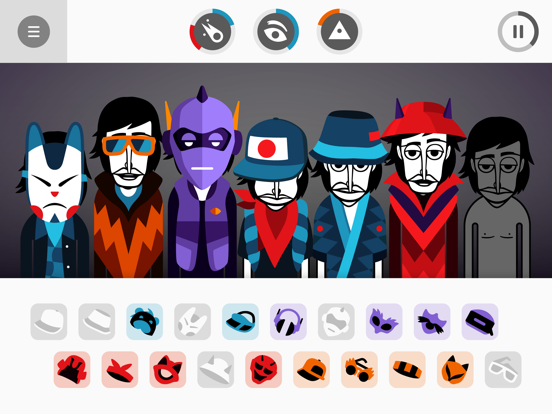 Gamemodes: Look. I Think Making Music Is Fun in This Game. But I’m Looking For More Ways To! Versus And Campaign Are Fine. 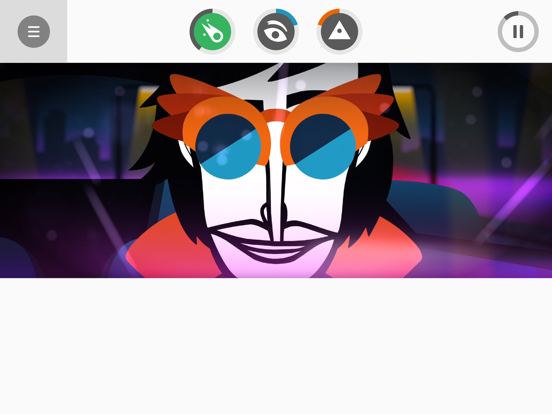 BG and FG: There Needs To Be A Option In Setting Where You Can Change The Background And Foreground Somehow! 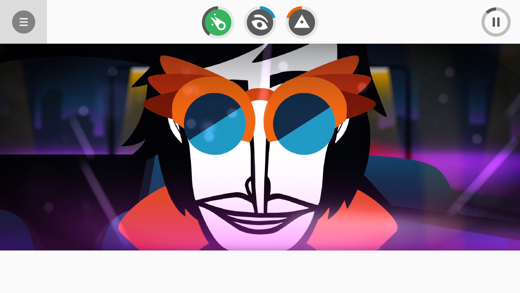 You Can Use Pictures And Custom Colors is a Suggestion. Lyrics: Ok. 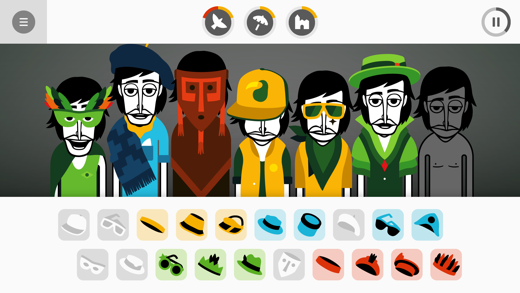 I Can Understand About 10 To No Words In A Bonus. There Needs To Be A Place Where You Can Place The Lyrics So I Can Understand It. Ok. I get it that you just added Alpha. But It’s almost the end of the year! I’m starting to get impatient! But on the other hand, here are some suggestions to put in V7. Sounds: Now Sounds. I’m not going to ask for sounds but if you reply, let me know the sounds that you want. Chorus: How come you removed chorus? I want it back In a different color! (also make it yellowish-green) I think it gives it a unstable amount of 25 but add it!